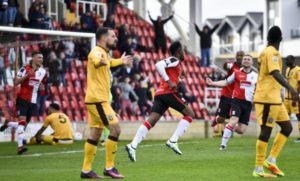 STEVE THOMPSON has hailed Woking’s 2-1 win at home to Sutton United as massive, but the Cards’ assistant manager has insisted there is still plenty to do if they are to stay up. 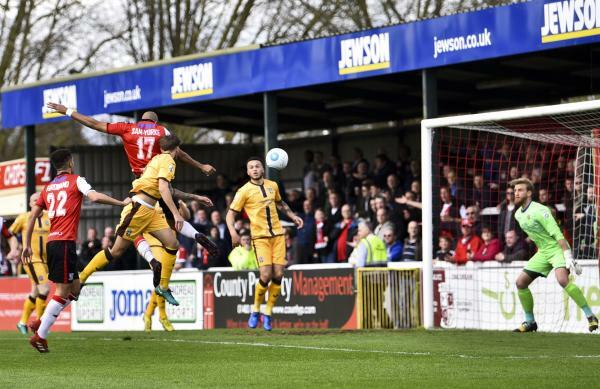 Delano Sam-Yorke put the Cards ahead in the fifth minute with a strong header before Kieron Cadogan equalised in the 62nd minute although the midfielder did not know too much about it. With just seven minutes remaining, Gozie Ugwu picked up the loose ball in the penalty area, rounded the goalkeeper and won it for Woking to move the Cards a point clear of safety. 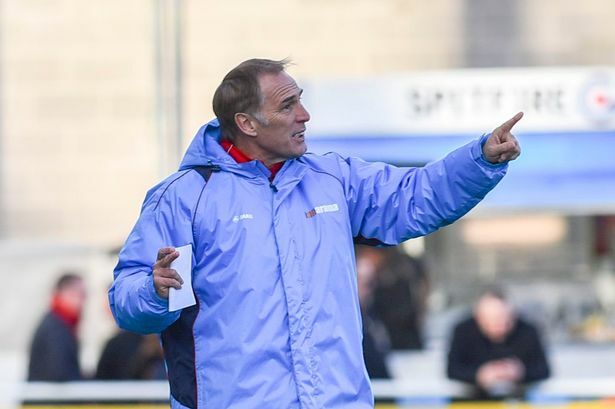 After the game, Thompson was full of praise for his players, who put in a determined display to secure all three points at the Laithwaite’s Community Stadium on Saturday afternoon. He told Woking FC TV: “It was a massive win, we got the early goal, that was a great boost and then the rest of the first half they had a lot of possession without too many clear cut chances. “In the second half when they scored the next 10 minutes we were like a boxer on the ropes but all credit to the players, they came through with great blocks, great tackles, getting their bodies in the way, getting players around the ball and we got a deserved win. Woking manager Garry Hill was criticised for his tactics after the Cards’ 4-2 home defeat to Maidstone United a week before, but Thompson believes he got them spot on against Sutton. The assistant manager also revealed how his side prepared for the clash, and believes that his players can only learn from the mistakes and they have to evaluate if they are to improve. He said: “It wasn’t easy to prepare. We did a video analysis on the Maidstone defeat and the goals for two hours and then trained for two hours after that. The important thing after a car crash result is to give the players a focus but we had to get the ‘crap’ out of the way. Next up for the Cards is a trip to play-off chasing Barrow, who themselves lost 2-1 to Maidstone United on Saturday, but Paul Cox’s side are just three points off fifth-placed Aldershot Town. Thompson thinks that every game is difficult and is seeking the positives ahead of the tie and said: “We have picked up six points from the last nine available and if anyone offered you that we would have bit your hand off.